Under the name Melody's Echo Chamber, French musician Melody Prochet crafts sweet and swirling psych pop that brings in elements of prog and folk, while casting out bewitching melodies as well. She holds her own on collaborations with musicians from Tame Impala (on 2012's self-titled album) and Dungen (on 2018's Bon Voyage), never losing her unique voice to the sounds they surround her with. 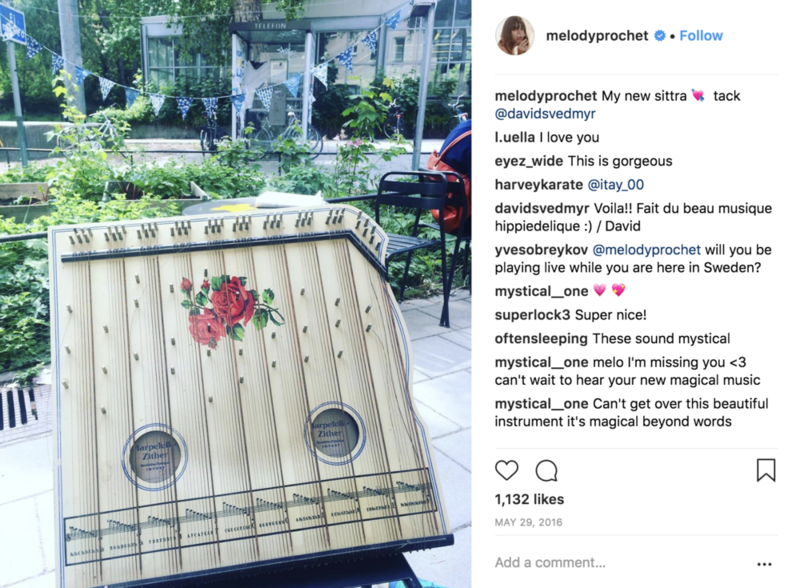 Prochet worked in various bands before starting Melody's Echo Chamber in 2012 after having a dream that the acoustics of her bedroom projected an infinite delay. No stranger to performance, Prochet had already worked with the twee pop Narcoleptic Dancers and the dreamy My Bee's Garden, a project she was very much central to. When My Bee's Garden supported Australian guitar rockers Tame Impala on a European tour in 2010, Prochet bonded with Kevin Parker, who offered to help with production of her new solo material as Melody's Echo Chamber. The two worked quickly, with some elements of the project's lushly dreamy songs recorded in Parker's makeshift studio and some laid down in her grandmother's seaside home in the South of France. The self-titled album was released on Fat Possum Records in the fall of 2012, and Prochet assembled a live band to fill out her solo songs as plans for tours and live performances started accumulating. She began working on a second album with Parker, but things stalled out after a couple years of recording. Prochet moved to Sweden, and along the way met up with Dungen's Reine Fiske and the Amazing's Fredrik Swahn. The trio, along with Dungen's Gustav Ejstes and Johan Holmegard, crafted a free-flowing mix of prog, psych, and pop that had a much looser and surprising feel than her debut. They finished the album and a song was released in April of 2017, but then Prochet suffered a major injury that halted the record's planned release to allow her time to heal. A little more than a year later, Bon Voyage was issued by Fat Possum.